Our studio complex includes three specially-built editing and mixing rooms outfitted with state-of-the-art equipment. 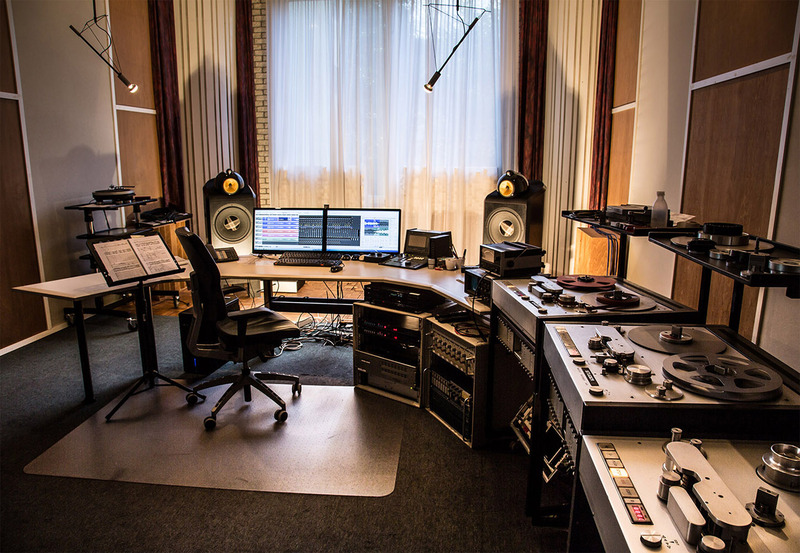 The studios, completely isolated from each other and the outside world, were originally built for Philips Classics in the early 1990's, and later modified by the acoustician Ben Kok. 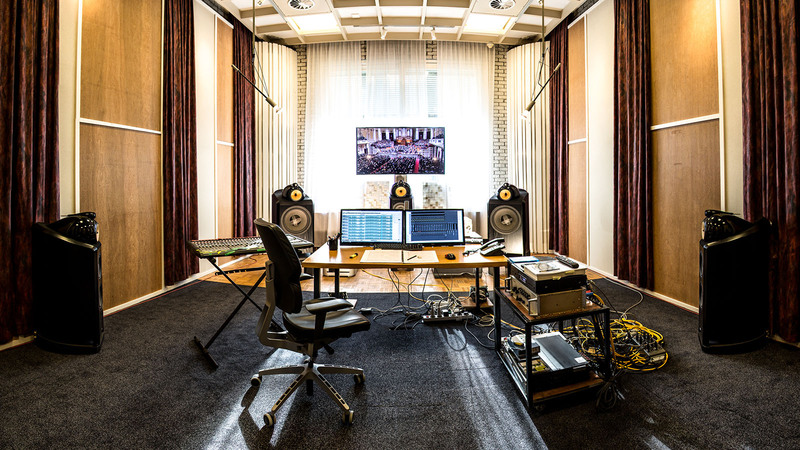 Each room is capable of high-resolution editing, mixing, and mastering for all of the existing digital audio formats in stereo and surround. 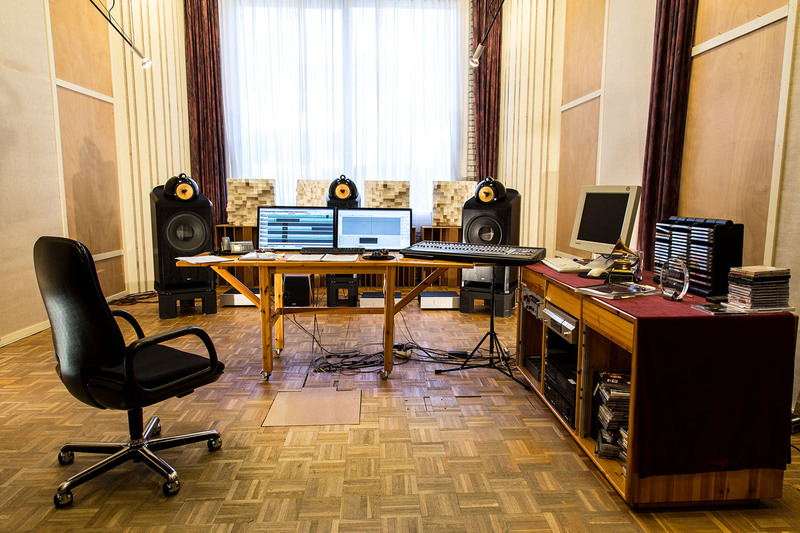 Two of the three rooms are equipped with high-end surround monitoring using B&W loudspeakers. All of our rooms have large picture windows, superb acoustics, silent air conditioning, and separate machine rooms. The acoustic treatment includes large bass traps and a combination of reflective, diffuse, and absorptive surfaces designed by Ben Kok. Special care has also been taken with the electrical installation; The studios are equipped with two five-kilowatt isolation transformers, one for the analogue and one for the digital equipment, with a large ground wire attached directly to a rod sunk deep into the ground just outside the studio. The studios are equipped with state-of-the-art analogue and digital equipment, much of it built, or extensively modified, in-house. Editing and mastering is done primarily with networked Pyramix Virtual Studio Workstations, providing up to 48 channel I/O and 64 channel mixing and editing at sample rates from 44.1 kHz to 192 kHz and DSD. With the addition of the Ravenna based Horus system by Merging, we can go as high as full DXD sampling. During the development of SACD, we brought Philips and Merging together to incorporate DSD processing into Pyramix. We continue to be a Beta site for Pyramix, and are constantly looking at ways to improve our postproduction systems and techniques. Studio 2 is equipped for transfers from analog tape, from 1/4” to 1”, using rebuilt Studer A-80 transports (the ultimate in Swiss precision), and our own custom built playback electronics, connected with silver-wrapped cables specially designed by Van den Hul. We’ve also rebuilt our Dolby-A decoders using the very best components. In other words, Polyhymnia has spared no cost or effort to get every last bit of quality out of existing analog tapes. The results can be heard on PentaTone’s RQR series. With more and more production involving video, we have multiple screens in the studios, and one room with a large 60 inch LCD for editing and mixing audio for video. The heart of our network is a large storage server, currently providing 200 terabytes of RAID6 storage. A second server provides backup should the primary server fail. 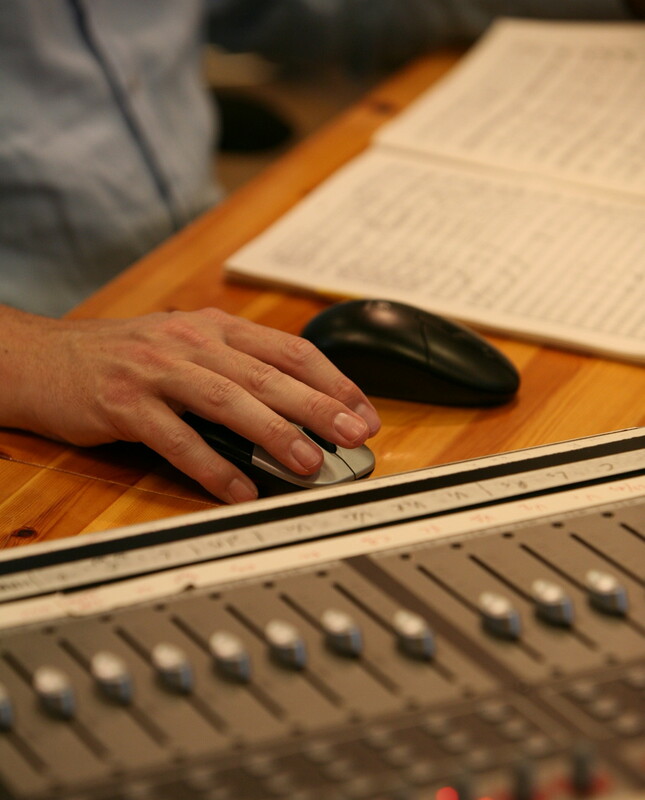 All of our recordings, postproduction media, and projects are stored on the servers, enabling projects to be seamlessly transferred between the studios.